Maxim Katz is an unlikely Russian politician. There is his Jewish surname, his youthful age of 27, and his long, flowing dark hair. There is also his choice of profession: A former poker national champion, Katz now makes his living by staking promising poker players to big-pot tournament games, in return for a cut of the winnings. He didn’t even live in Russia for an eight-year stretch, from 1993 to 2001, when he resided in Tel Aviv. (“I didn’t like Israel—it’s hot,” he told me, explaining why he came back.) And yet, on March 4, the very same day that Vladimir Putin claimed a presidential election victory, Katz won a seat on a local district council in Moscow. Katz is hardly unusual. Americans might be tempted to assume—based on the Arab Spring–style protests that have recently taken place in Moscow—that the young people of Russia have turned completely against Putin. But the generation of Russians who form the backbone of the protests have political instincts that are actually quite complicated. These are people—call them the Putin Generation—who came of age during the near-chaos of the 1990s and have known no leader other than Putin for perhaps the entirety of their adult lives. Having grown up in an atmosphere of upheaval, they are generally wary of dramatic change—and are more apt to sound like pragmatic gradualists than fervent revolutionaries. CONSIDER A RUSSIAN born, like Maxim Katz, in 1984. Glasnost and perestroika are remembered as positive developments in the West, but what many Russians recall about those times were the food shortages. With his affinity for numbers, Katz, the future poker champ, used to count in his head the number of people in the queue to buy eggs at Moscow stores. There was the threat, too, of civil war, when, in August 1991, a group of hard-line Russian leaders attempted a coup to depose Mikhail Gorbachev. Katz’s mom brought the six-year-old to the city center to see the tanks. The traumas were just beginning. Russia’s new president, Boris Yeltsin, embarked on a series of free-market experiments that, however well intentioned, ended up turning over control of the economy to a band of oligarchs who manipulated the state to their own selfish ends. The experiment collapsed with the financial crisis of August 1998—when the ruble plunged in value against the dollar and the banks failed, causing many Russians to lose their life savings. Older members of Katz’s generation watched their parents struggle to make ends meet and often had no good idea themselves of what their future might hold in a country that seemed to be collapsing from within. TV images conveyed the bloody carnage of Yelstin’s failed bid to subdue the rebellious province of Chechnya. More young people became addicted to narcotics, which were more widely available than in Soviet times. A man like Putin, full of strength. A man like Putin, who doesn’t drink. A man like Putin, who doesn’t hurt me. A man like Putin, who won’t run away. ON THE EVENING AFTER the March 4 election, I filed into Moscow’s Pushkin Square to attend a rally with some 20,000 others—most of whom looked to be in their twenties and thirties—that had been organized by the anti-Putin opposition. The city, at that moment, felt like an armed encampment. Military trucks and vans filled with riot police lined the boulevards leading to the plaza. Police helicopters buzzed overhead. The authorities apparently feared a march on the Kremlin, a 15-minute walk away, but there was no real danger of that, for the main mood of the crowd was somber and reflective, not aggressive. There were cries of “Rossiya bez Putina”—“Russia without Putin”—but few responded to the urging of Sergey Udaltsov, a young, black-clad far-leftist with a buzz cut, to chant in unison “hatred, hatred” against Putin. At the rally, I met a young Muscovite named Vladimir Ivanov who had once been a Putin enthusiast—and, a few days later, in the quiet of a café across the street from the Moscow Zoo, he obligingly traced the arc of his disillusionment. Born in 1981, Ivanov attended the Moscow Aviation Institute—a school at which his father had once been a professor before being forced, in the ’90s, to take a lesser job as an auditor. His parents, Ivanov recalled, supported the breakup of the Soviet Union and initially were hopeful about “the new times.” But, by the end of the Yeltsin era, they were, like their son, gung-ho backers of Putin’s strong-leader policies, especially the crackdown on the oligarchs. The lack of radicalism from many protesters may be partly a function of the economy. Russia is not an economic disaster, like Greece. 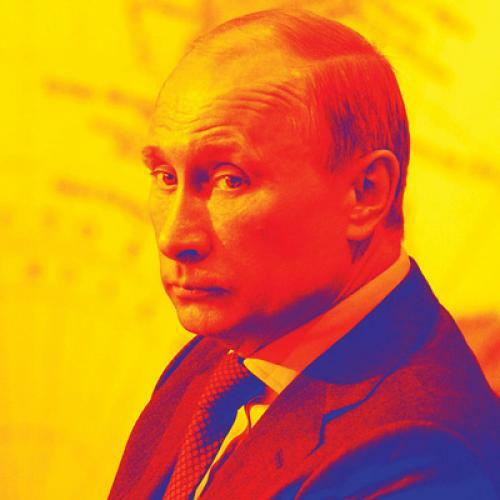 With oil exports pouring tax revenue into the federal treasury, the economy is expected to grow by some 4 percent annually for the foreseeable future—and nowhere are material conditions more favorable than in Moscow, the heart of the anti-Putin movement. Putin’s Moscow—the mayor, Sergey Sobyanin, is Putin’s former chief of staff—affords plentiful opportunities for talented and ambitious young people in finance, advertising, marketing, sales, media, music, fashion, hotels, restaurants, tourism, and other realms of an expanding capitalist business sector. Of course, plenty of the protesters are more strident in their views. But these activists, too, sometimes have complicated politics that seem to have been shaped by the events of the ’90s— specifically, the national humiliation of the Soviet Union’s disintegration. Alexey Navalny, a 35-year-old lawyer and anti-corruption activist with a following among some young Russians, has vehemently attacked Putin from the right on issues related to ethnicity—for instance, criticizing Putin’s regime for pouring aid into the Muslim-dominated Caucasus region. Last year, in comments to journalists at a rally staged by nationalist groups, he said, with apparent reference to nationalist skinhead participants at the event: “These teenagers in masks are a lot less scary than those who have usurped power in the country today. So these radical schoolchildren, whom we need to bring up, pose an incomparably smaller threat than those who are in power today.” A university student in Moscow from a Muslim region in Russia told me she had not attended a demonstration for fear of being treated rudely because of her non-Slavic, Tatar appearance. Meanwhile, there are a reasonable number of educated Russian young people who still support Putin—that is, who actually support him and are not merely brainwashed members of the pro-Putin youth groups that are propped up by the Kremlin. Putin has articulate advocates, like Alexey Potemkin, a student in his early twenties studying foreign languages at Moscow State University. The son of an apolitical physicist, he was turning nine years old when Putin came to power, and, he made a point of telling me, he has arrived at his opinions about Putin on his own. FOR THE PROTESTERS in their twenties and thirties who flooded into the streets in recent months, the question now is what their movement might become. Is it possible that their generation simply feels insufficiently aggrieved—or at least too complicated in its feelings about recent history—to stand up to the powers that be and insist on meaningful reforms? Moscow’s refurbished Domodedovo and Sheremetyevo international airports are perpetually crowded with young Russian business and holiday travelers; surely, this generation of young adults is the most cosmopolitan in Russian history. 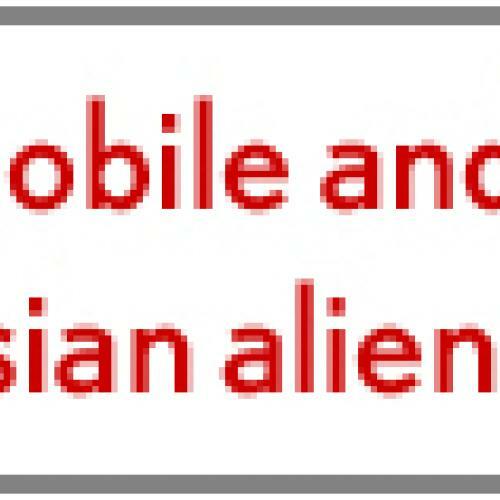 Might some of them simply leave Russia in search of a more “normal” life? There is an additional problem for the young Russians who aim to make the country more democratic: They have no figure of large moral stature—someone like the dissident nuclear physicist Andrey Sakharov, who courageously defied the Soviet Union. The only possibility, a 30-year-old hedge-fund manager in Moscow told me, is the jailed oligarch Mikhail Khodorkovsky, who is due to be released from prison in 2017, one year before the next presidential election. Some Russians feel he has more than paid for whatever crimes he committed. A FEW DAYS AFTER the election, I traveled from Moscow to the town of Sergiyev-Posad, an hour’s train ride to the northeast of Moscow. The area was blanketed in soft snow; on the town’s outskirts, cross-country skiers glided through still pine-and-birch forests. But Nikolai, a 27-year-old live-in student at the seminary, sounded a different note. Stressing that he was speaking for himself, not the Church, he began: “I agree with our great writer, Solzhenitsyn, that power can be different—it can be monarchy, it can be democratic—but irrespective of form, the power has to be strong.” That said, he continued, “power has to be based on moral values that serve the people. It shouldn’t be a power that dominates people.” He added, “The more often the young generation stands up for its rights, the more often the government will take into account the opinion of the young people and of the country.” It was a near-perfect summation of the contradictory instincts I discerned from many Russians his age: a certain appreciation for the status quo combined with a restive sense that something needs to change. Paul Starobin, a former Moscow bureau chief of Businessweek, is developing a documentary film on Russia. This article appeared in the May 10, 2012 issue of the magazine.